As I hurried through the streets of London today between meetings I came across Pete The Street Brown, a different kind of street artist. 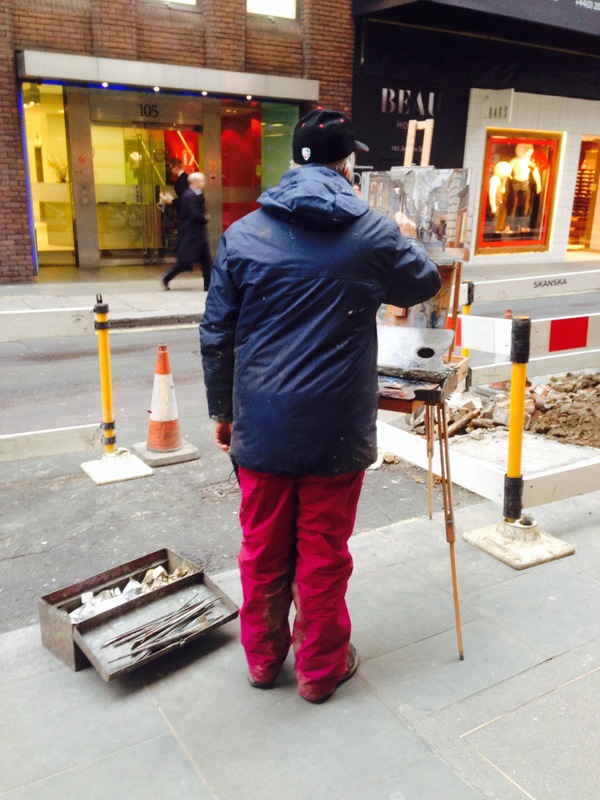 A few months ago I saw this gentleman painting on Pall Mall, then a few months later under a grey sky painting in Jermyn Street in St James’s. Just before the Christmas break. 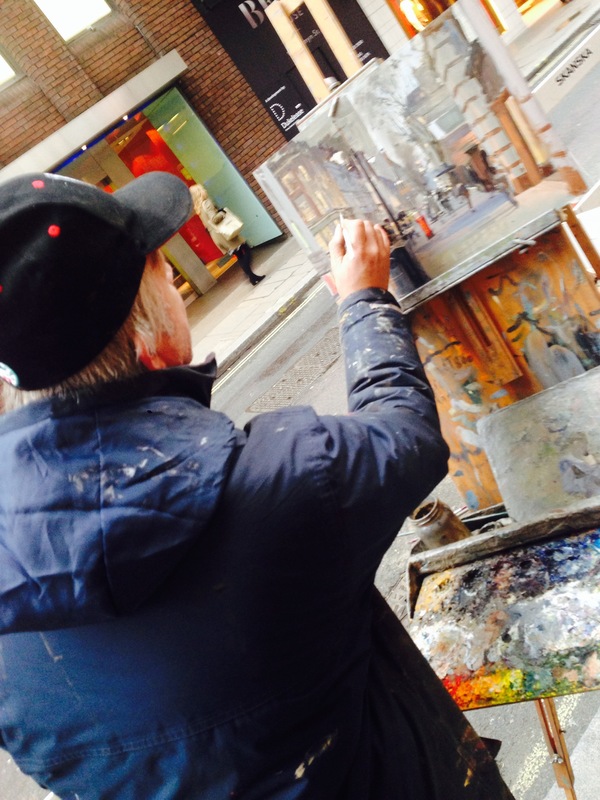 Today he was just behind Fortnum & Mason painting a scene in the other direction. I couldn’t help but stop to ask who this painter was as he painted in a similar style to Rod Pearce an artist who I have acquired paintings from for my collection. Pete The Street Brown can certainly put the oils down quickly, by the time I’ve had a meeting he’s nearly completed a painting. Using a muted colour pallet of Payne’s Grey, Davy’s Grey,Umber, Sepia, purple lake, blue black ,yellow ochre, naples yellow, Indian yellow making up a mix of stonework and highlights of street lights and reflections in the asphalt. My meeting was brief with the artist from Bath but I hope our paths will cross again. I leave you with an image of the artist at work.